You know that our mORMot is able to access directly any MongoDB database engine, allowing its ORM to become an ODM, and using NoSQL instead of SQL for the query languages. But at mORMot level, you could share the same code between your RDBMS and NoSQL databases. The ORM/ODM is able to do all the conversions by itself! Since we have just improved this feature, it is time to enlighten its current status. A WHERE clause can also be defined for CreateAndFillPrepare or FillPrepare methods. This WHERE clause could contain several expressions, joined with AND / OR. Or even any ...DynArrayContains() specific function. The mORMot ODM will convert this SQL-like statement into the optimized MongoDB query expression, using e.g. a regular expression for the LIKE operator. The LIMIT, OFFSET and ORDER BY clauses will also be handled as expected. A special care would be taken for an ORDER BY on textual values: by design, MongoDB will always sort text with case-sensitivity, which is not what we expect: so our ODM will sort such content on client side, after having been retrieved from the MongoDB server. For numerical fields, MongoDB sorting features would be processed on the server side. The COUNT(*) function would also be converted into the proper MongoDB API call, so that such operations would be as costless as possible. DISTINCT() MAX() MIN() AVG() functions and the GROUP BY clause would also be converted into optimized MongoDB aggregation pipelines, on the fly. You could even set aliases for the columns (e.g. max(RowID) as first) and perform simple addition/substraction of an integer value. Note that parenthesis and mixed AND OR expressions are not handled yet. You could always execute any complex query (e.g. aggregations or Map/Reduce) by using directly the TMongoCollection methods. But for most cases, mORMot allows to share the same exact code between your regular SQL databases or NoSQL engines. You do not need to learn the MongoDB query syntax: the ODM would compute the right expression for you, depending on the database engine it runs on. 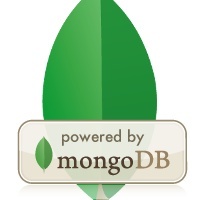 Ensure you took a look at the updated documentation to better understand NoSQL/MongoDB integration with mORMot. And feel free to use our forum for feedback, as usual!